Precioso ... El sitio muy bonito y en el mismo centro histórico de Lecce. Todo perfecto y los dueños del B&B fueron súper atentos. In the very heart of the historic centre of Lecce you can find the Boutique Hotel Centro Storico b&b, it is situated in a Historic XVI c. Palace. 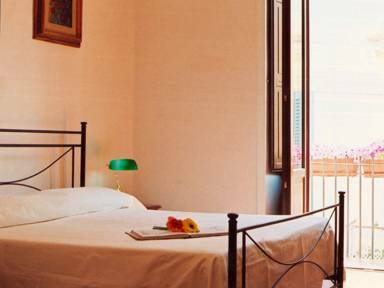 Lonely Planet, Routard, Michelin and other important book travells selected b&b Centro Storico Lecce the best hotel of Lecce for fee-quality and charm. Gorgeouses vaulted suites with all the comfort, private bathroom and insonorized private balcon, Free Wireless, heat -air conditioning, colourTV, safe, tea coffe machine facilities, ironing board, air dryer, beauty set, parquet or marble. Frre service included: free parking, free Wireless, panorami roof garden equipped for the relax, customer assisance. 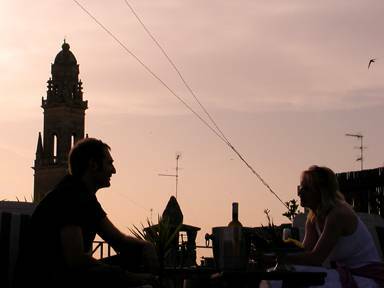 Panoramic view Lecce, historic palace, suites with all the comfort. request details credit card for garanty - penality cost one night for cancellation 2 days before the check in, total cost reservation for cancellation from 1 day before the check in utnil the check in. 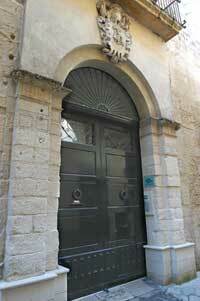 the b&b is situated in the historic centre of Lecce very close to San Matteo church. We recommend our guestes call us the day of the check in on our mobil phone we will like help your free parking.